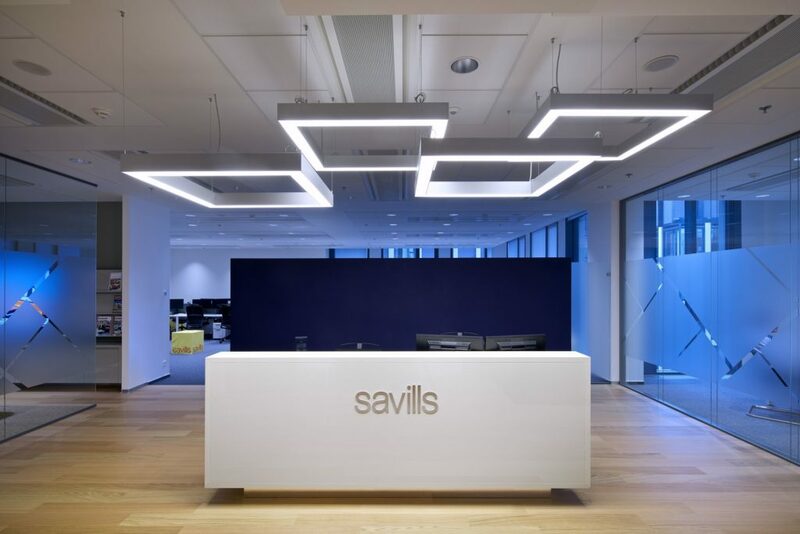 This 350 m2 fit out project for global real estate agency Savills creates an open environment for staff and clients alike. 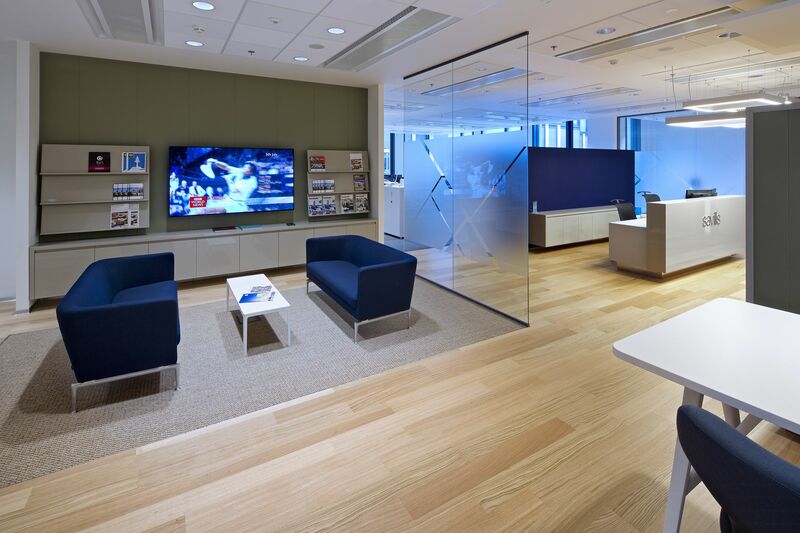 The entry experience is focused on the informal reception and meeting area where clients and staff can mingle. 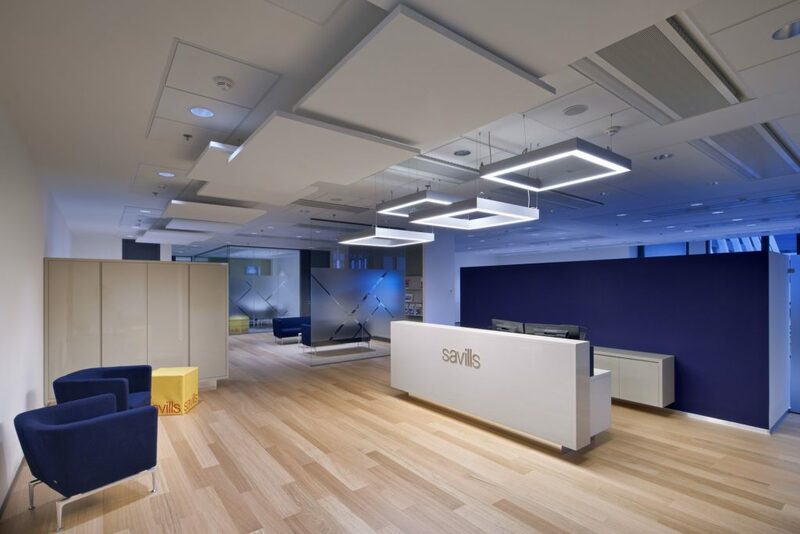 Specially designed panels are located to improve the acoustic environment and also act as decorative elements.